Nothing To Pick Apart Tonight..
WHAT’S THE DEAL ON MYERS? 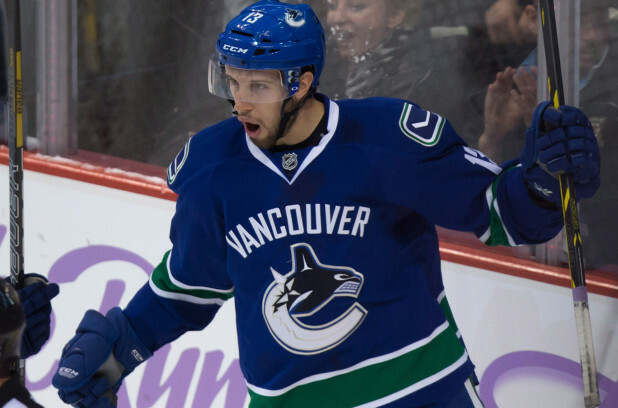 WHO WON THE BONINO/KESLER TRADE? WHAT TRADE? THERE WAS A TRADE? WHO’S KESLER??? So here we are November 13, nearly 20 games into the season at which time the Ducks and Canucks are neck in neck for first in the Western Conference. Both players of the trade have risen up to the occasion and I would have to say at this point everyone’s a winner. 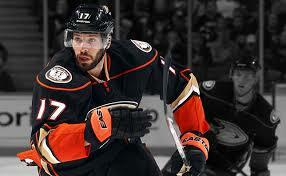 Kesler is playing for a team that wants him and is performing very nicely. I watched the Kings vs Ducks game last night and when I saw Beastmode all over the ice I immediately began to miss him. I was thinking to myself if Kess played like that against us we would’ve been in big trouble. We all know how he can play, so all personal feelings of desertion aside, you have to respect his role as a second line center. He is one of, if not, the best second line center and I say that with years of watching him. There was a reason Philly gave him that offer sheet years ago that the Canucks were compelled to match. I know this is speculation but imagine how the Flyers would’ve looked had that gone differently. I don’t think it’s to far of a stretch to say Kesler probably would’ve lifted the Cup by now. He fits into the 2nd line center spot perfectly the way the Ducks were hoping and honestly as the chemistry builds there it will only get better. I hate to say it but I don’t think we saw his best in Vancouver’s 2 – 1 win over Anaheim Sunday and, I admit, that scares me a little. He is helping his team stay among the top of the Conference and lets be honest here the Kings would have walked out of Anaheim with 2 points Wednesday if Kesler wasn’t there. 2 goals, 1 assist and the shootout winner, all while matched up against Kopitar. What do you think? Kesler’s (5g 9a 14pts +0) point totals for the year are fairly close to Bonino’s (7g 7a 14pts +10) but we all know that he does bring an edge of play to his game that Bonino doesn’t. This is where Anaheim’s 3rd round pick turned Derek Dorsett comes in. Dorsett has been everything I hoped he would. Before his recent injury he had energy, he played smart and it’s good to see a 4th line player in the line up that can play. 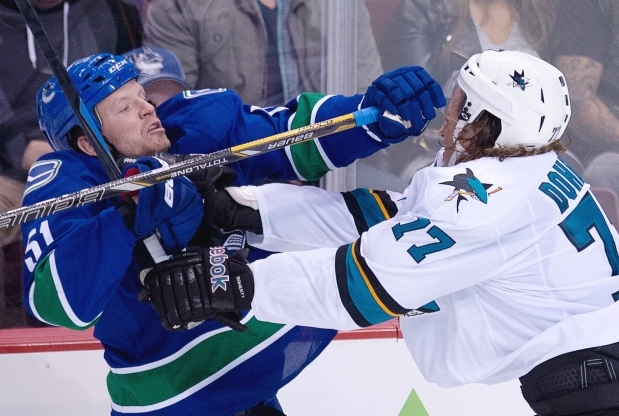 I have no problems with Dorsett and this is an asset to the Canucks bottom six any day. Now we come back to Bonino who has a lot to prove yet but you can’t deny he has started off on the the right foot. Can he maintain this level of play? I don’t see why not Coach Desjardins is handing out the ice time well and chemistry looks real good with Higgins and Burrows. The guys on that 2nd line are feeding off of each other and it shows. We can say the Canucks actually have a genuine 2nd line and it will get better over time. Simply put they are fun to watch again. The reason Burrows has not been bumped up to the 1st line is so obvious that even all us armchair coaches and GM’s don’t even need to ask why. I can be excited about this this team again which is much more than I expected going into the off-season. When you factor Luca Sbisa into the equation it gives the Canucks 3 players that all started the season on the roster and are capable of staying on the roster based on their play. 3 bodies for 1 and all 3 of those bodies have contributed on the score sheet, in the defensive zone and you can guess they are involved in the dressing room. I have a tough time finding how the Canucks lost this trade at all. Sure we lost a valuable 2nd line center but given the situation did we really lose him? I would do this trade again in a heartbeat. I’m sure Benning and Linden would as well. that being said I am glad you are happy Duck fans because I assure you we here in Canuckland are smiling just as big. This entry was posted in ALL THINGS CANUCKS. Bookmark the permalink.